Regine’s blog about living with Leukemia gained a huge following, and eventually became this book. She writes openly about emotional and physical aspects of her 15-month struggle to recover, and explains how her disease impacts her life. In the course of her illness, Regine has photography exhibits, goes to concerts, enjoys her friends & family, and advocates for registering as a blood and bone marrow donor. She was a typical teenager with an amazing will to live; and the lessons she learned have relevance for all of us. She died at home on December 3, 2009 with her family and cat by her side. This is, easily, one of the toughest books I've ever read. 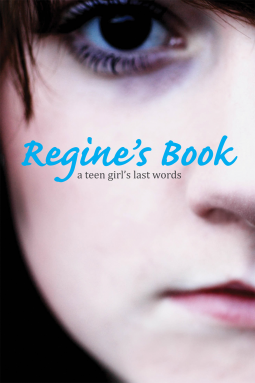 Regine faced life, rather the end of her life, with amazing poise and beauty. She wrote her thoughts, feelings, personality. She bared her soul, and didn't sugar coat. The text is translated from Norwegian, and while very well done, does have a few choppy bits. That could be the translation, that could be Regine. Regardless, it doesn't detract from the story and certainly not from the emotion. Tough, tough book to read. I will not lie, I cried--sobbed--as I realized I was reaching the end. But I would class it a "must read." Regine's blog can still be found online, here. Disclosure of Material Connection: I received this ebook galley from Zest Books through the netGalley publisher/reader connection program. I was not required to write a positive review. The opinions I have expressed are my own. We just got this in my school library but I haven't read it yet. It sounds so good, but so gut wrenching! It is. Be prepared. I was, but I wasn't. It affected me a lot more than I expected.